After a full day of driving (650km), I arrived at sleepy Alva Beach. This little village is home to the dive shop closest to the wreck of the SS Yongala. The SS Yongala was a passenger ship which sank in a cyclone in 1911. The wreck wasn't found and positively identified until 1958 when two skindivers retrieved a safe from the ship. Since 122 people died on board the site and some divers used to collect artifacts and pose with human remains, it is now protected under the Historic Shipwreck Act and penetrating the wreck is no longer allowed. The trip out to the site took a bit longer than advertised because the sea was quite rough and many people weren't feeling too good, I myself was very glad to finally get off the boat and into the water. 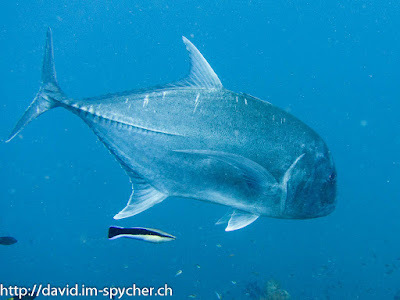 Since there are no reefs close to the wreck it attracts a lot of fishes, some of which grew very big, such as a Queensland Grouper over one meter in length! 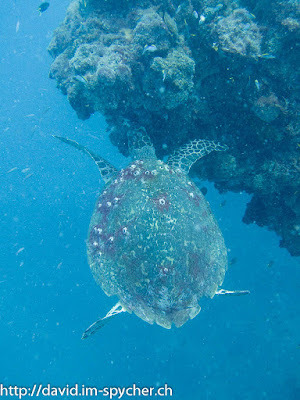 The animal I was most thrilled to see, however, was a Loggerhead Turtle. 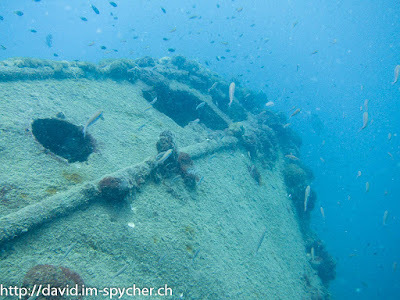 It rested close to the bottom of the wreck and it was the first of its kind I spotted under water! After the first dive we were supposed to have a short surface interval before doing a second dive, however, one of the divers started to show slight symptoms of decompression sickness and the captain decided to head back to land to get her into treatment. After handing of the patient and refueling we headed out again for our second dive. During the second dive we spotted an Eagle Ray swimming past the wreck and I had another run-in with the Loggerhead Turtle ;). 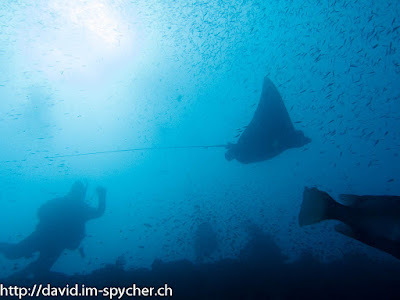 Diving the SS Yongala, was definitely worth the trip and I am glad that we were able to complete both dives, even though it meant that we got back rather late and I couldn't drive as far as I hoped. On Sunday, I covered the remaining distance to Cairns where I dropped off the car and got ready for my next diving adventure :). More pictures from Queensland can be found in my webalbum.